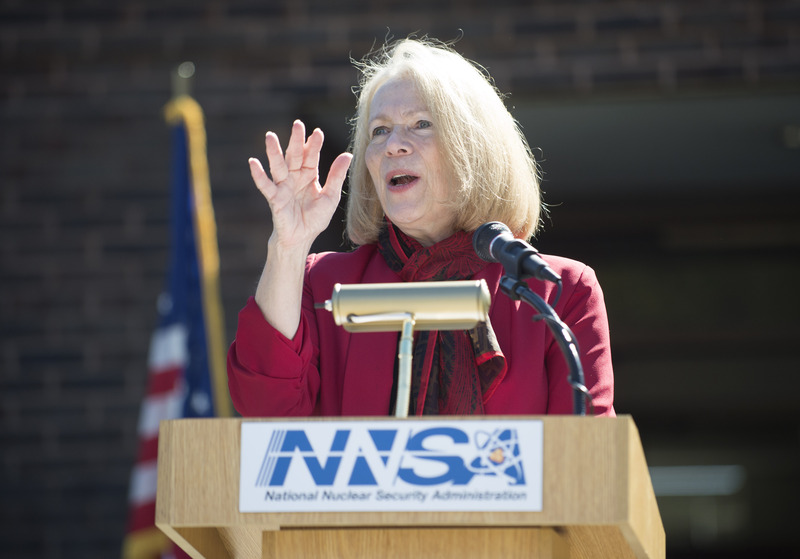 NNSA Deputy Administrator Anne Harrington was at Y-12 last Thursday, and before and after the staged events I had a couple of opportunities to talk with Harrington and ask her a few questions about non-proliferation and related issues. Q: What’s the biggest threat out there today? Q: Have there have been interdictions of nuclear smuggling that have never been made public? Q: How important is this capability? Q: Is there a reason why interdiction of nuclear materials should not be made public? Q: Is there a global hot spot of most concern? Q: Has the situation in the Ukraine ratcheted up things where people might try things now they wouldn’t have tried a year ago? Q: How important is the Oak Ridge role in non-proliferation? Q: Such as the relatively new nuclear forensics lab at ORNL? Q: Did the U.S. get caught with its pants down, to some extent, in not having the world’s best capability in nuclear forensics and having to play catch up? Q: The administration has been criticized for funding cutbacks in the non-proliferation program. Has that impacted the ability to get things done in the coming year? Q: Talk about President Obama’s goals for recovery of vulnerable nuclear materials and how close you’re going to get before he leaves office. Q: Has it become increasingly difficult to work with Russia in securing Russian-origin materials because of the current state of tensions? This entry was posted in NNSA, nuclear, Y-12 on October 26, 2014 by Frank Munger.